Player characters aren’t the only ones to reap the benefits of advanced technology! The world of high technology and world of high magic aren’t mutually exclusive; whether through cataclysmic event or through development of society, the two will eventually intermingle and fuse into a new arcana. Some take this super-science a step further by magically fusing with the technology to become a cyborg in their own right. In Non-Magical settings, this implies an even more impressive level of technology to compensate. When a creature becomes a cyborg, it adapts traits common with constructs (especially robots). Immunities – They are immune to poison damage, the poisoned condition, the charmed condition and exhaustion. Resistance – They have resistance against all non-magical weapons, force damage, and psychic damage. Weakness – They are weak against lightning damage; whenever you take lightning damage, you must succeed a Constitution save of 10 or become incapacitated for 1 round. Targeting System – They can cast True Strike as a cantrip, you can choose which mental state you use for casting. Integrated Weaponry – Choose a weapon the creature is capable of using. The creature now has this weapon at all times and it cannot be removed, except through intentionally damaging the weapon attachment. Action Boost – RECHARGE 5 or 6, you gain an extra attack action as a bonus action. 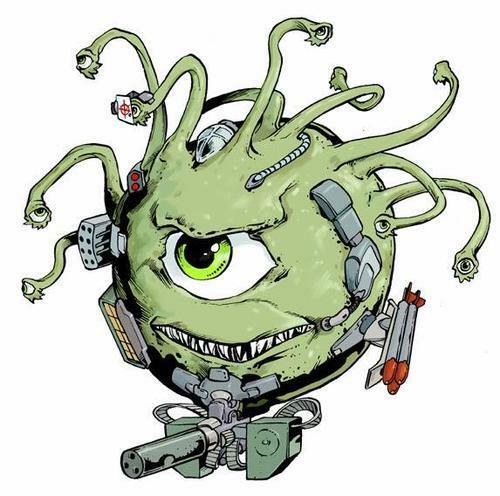 Automated Medical System – This creature gains use of the “Second Wind” ability found on the PHB Fighter class (Page 72). CR – Add 1 to the total Rating of the creature. You can choose to add another integrated weapon and make True Strike a bonus action for an extra 1 on top of that.